Keith was invited to be the speaker at seminar of HKTDC last Saturday. 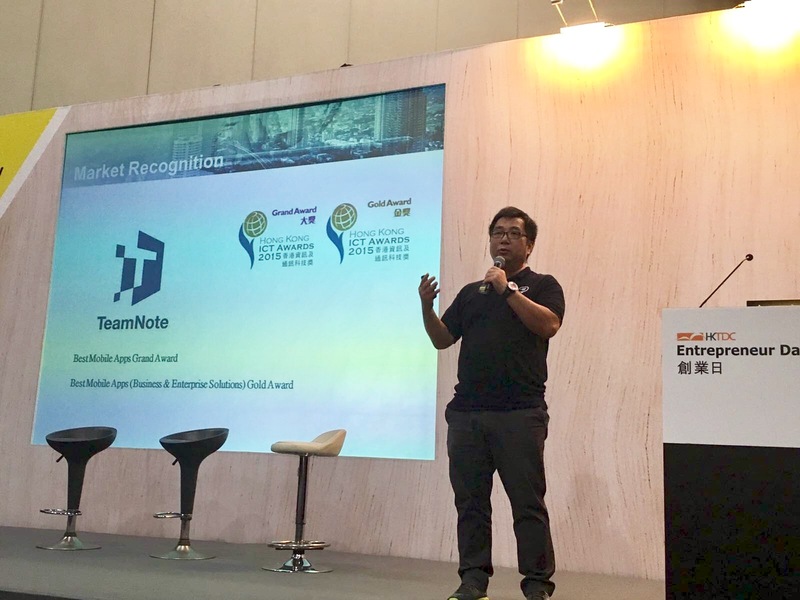 He illustrated the concept of Revamping with InnoTech and also introduced the journey of TeamNote from Secure IM to Productivity Platform. Meanwhile, Keith as a mentor, joined the Start-up Mixer, a networking event for start-ups, investors and mentors. He shared his practical business tips and advices with the attendees and indulged in new ideas and opportunities from a wide scope of industries.